Due to picking our tomatoes and zucchini earlier this year meant over abundance of green tomatoes. 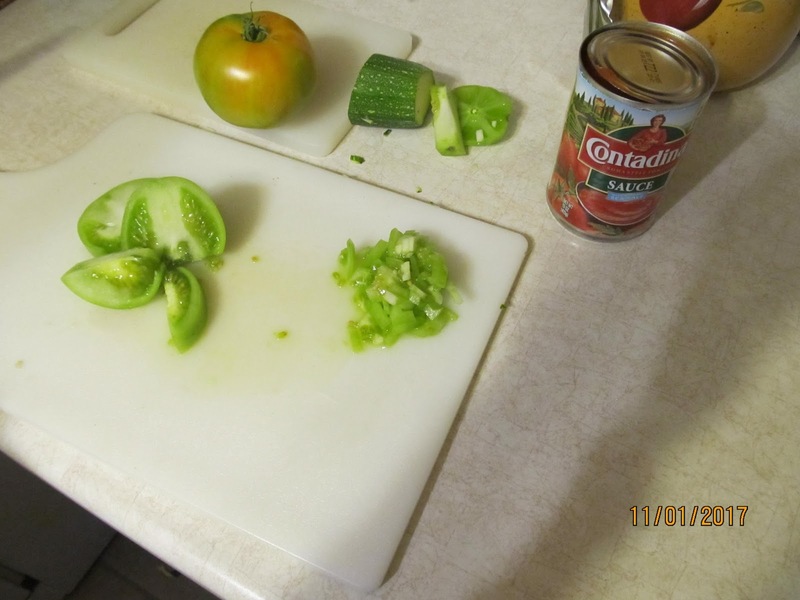 Decided to create some dishes using green tomatoes and this recipe turned was one of our best chili’s. 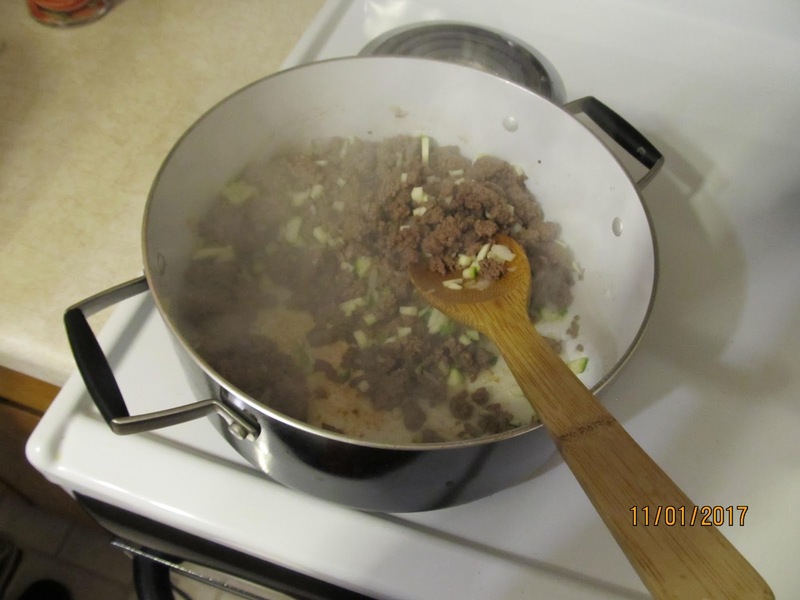 – In a skillet, fry the ground beef and onion till brown, drain. 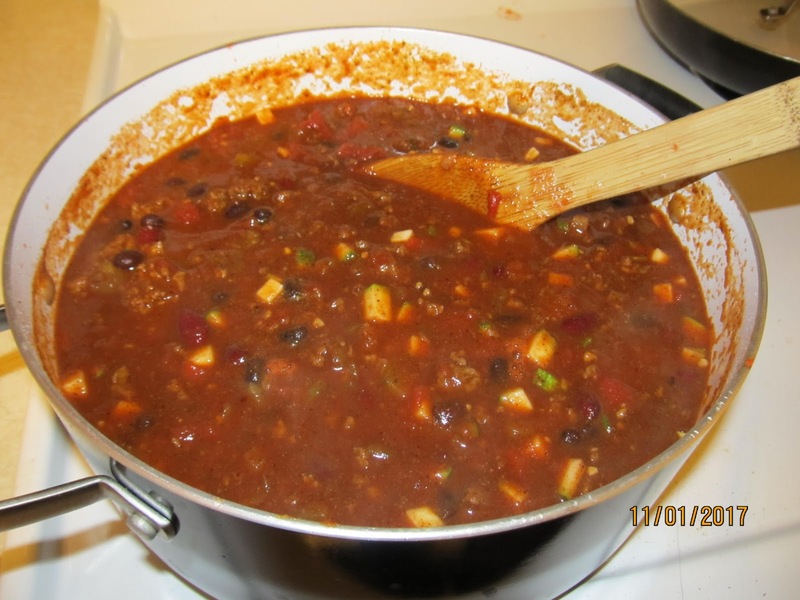 – Cook for a few minutes over medium heat. Add the rest of the tomatoes and zucchini and cook. 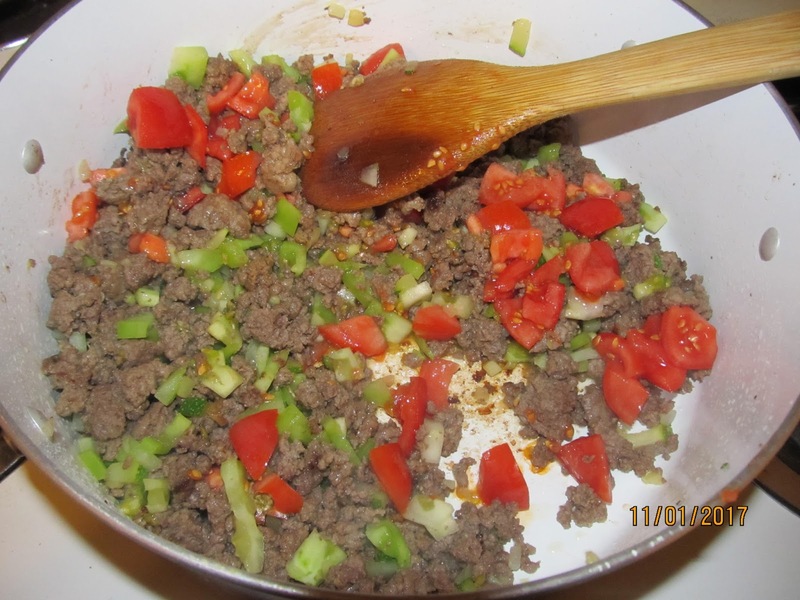 – Add the tomato sauce and crushed stewed tomato and spices and let cook on low for a half hour. 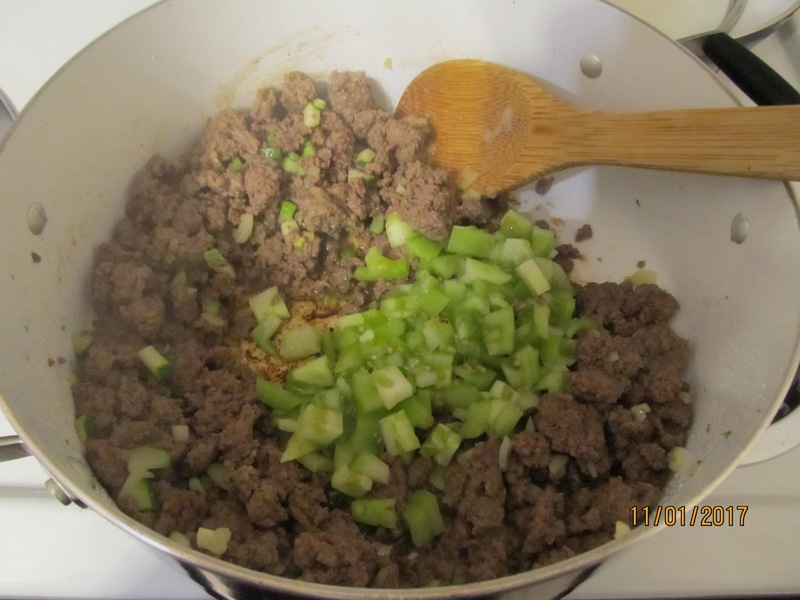 – Serve with a tsp of sour cream and chopped green onion, or anyway you like. * Optional would be fresh or frozen corn. 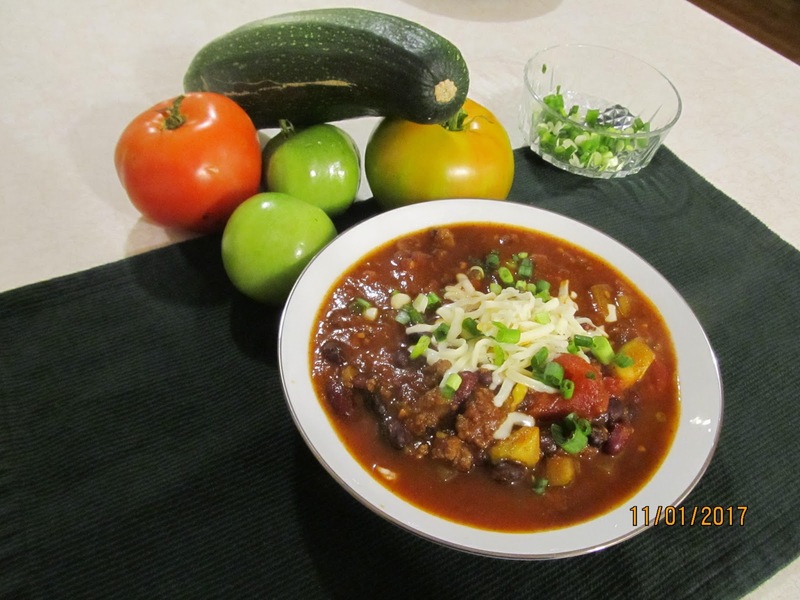 Never thought to add green tomatoes…or zucchini to chili. Good use of excess Fall vegetables!